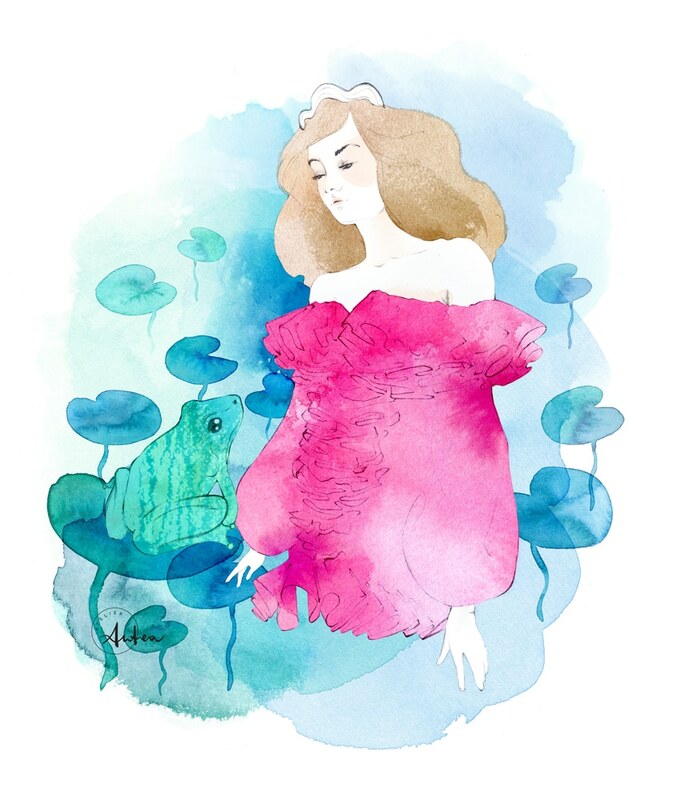 A few more days to Valentine so… Did you find your frog to kiss? My princess certainly did and she chose a gorgeous pink dress by Alexis Mabille chosen from the Spring 2017 couture collection for her date! The illustration is a kind of tribute to this day. Even if I’m not that Valentine kind of girl, I created it for this occasion, picking up the idea from the tale of the Princess and the Frog and its meaning. I thought about who doesn’t let that appearance confuses the mind and I decided to dedicate my drawing to those of you who don’t stop themselves at the first sight. Let me say that beauty is also a matter of flaws and, eventually, perfection could be boring, isn’t it? Imperfection makes everything more interesting indeed and that’s true also for illustration – which is something I have more confidence with. When you’re drawing, a little asymmetry in the pose, in the outline or in the coloring, is usually a key factor to make your subject sharp. It’s all about balance. So, let it be true in your everyday life. Let your flaws make you fascinating and do the same thing with who is next to you – or who you desire. Happy week end to everyone!